Inspiring Communities is a Communities and Local Government (CLG) initiative programme responding to evidence that where communities get behind their young people, they thrive better educationally and develop higher lifelong aspirations. On our behalf, Bristol City Council has made a successful initial bid, making us one of fifteen selected communities nationwide. * How does education work today? * How does Secondary School work, who do I get in touch with, for what and how? * Is Henbury School like it used to be, just dressed up in new clothes? Claire Cook the Community Campaign Leader is now working with the Council towards making a final bid in mid-November; we’ll know the outcome in December. The council has currently suspended plans for major changes on the green space. This is being reviewed in January. The Community Council is pressing for specific plans to be made known so we can have a full consultation process and consider all options being put forward. Two young people have recently joined Emmanuel Chapel. While studying for their degrees in Youth and Community Work at Bristol Baptist College, they will be working for Emmanuel's Youth Project, helping to develop its youth work in the church, the wider community and Henbury School. We welcome Matt & Jess to the area. Please stop to talk to them if you see them out and about. “Year five and six from Henbury Court Primary School went to Hazel Brooke to do a litter survey. We were shocked by all the litter. We found all sorts of rubbish. Litter is a problem around Hazel Brook because you are dropping your litter and you are not picking up your dogs mess. Please pick your rubbish and put it in the bin. Make sure you are not dropping any litter. Why are you dropping litter? Do you want to live in a dump? Don’t chuck your litter on the floor because children can’t play in Hazel Brooke without standing on dogs mess or cutting them self on glass. Also it is not safe for animals. This is some important advice. Put your litter in the bin . Don’t leave your dog mess on the floor. If you see someone dropping litter then tell them to pick it up. “We did a litter survey at Hazel Brooke and we found twenty two plastic bottles and fifteen crisp packets. I am only young and I know not to throw litter because my mum tells me to. This is what the adults even children have to do. You are going to trap mini beasts and your children want to adore the mini beasts. You are making Henbury such a dump to live in. We have lots of green spaces what is the whole point of having green spaces if you don’t look after them. You nag your children to make a mess in your house. You just have to tell them not to make a mess outside. Henbury and Brentry Youth Centre would welcome volunteers from the local community to come and help out and be involved with activities in the centre. Criminal Records Bureau checks would be carried out on any prospective volunteers. If you are interested or would like some more information, please contact Marie Manser on 0117 3773647 or 07825 315891. What’s on at Henbury Library? Do you ever have problems with your Homework? We hold a Homework Club every Tuesday 3.45pm - 4.45pm- We have computers available for research and have all the equipment that you need to produce an excellent piece of work- We also have staff on hand to help you if you have a problem. We don't just read, we write too! Our Story Group meet every 3rd Saturday at 11.30am. Each month we have a theme we work together or separately and we use computers. Please join us if you have a story to tell. Have you ever thought you might like to get Online? We have informal sessions to help you with computer use - we are able to help you set up email, word process a document or just shop online - Just pop into the library to book a session. Our Reading Group is held every 4th Friday, The last books we read were Ernest Hemmingway Farewell To Arms which was, “historical, factual and worth reading, what started out as hard to follow became very worthwhile”, and P.G. Woodhouse Meet Mr Mulliner. These tall tales were funny, childish and quite unlikely adventures, but as always good clean fun. In 1952 a boy’s football team was formed from young players from the new estates of Henbury and Brentry, they called themselves Passage Road Old Boy’s, and played in the federation of boy’s club league. In 1958-59 the club joined the Downs league and 4 years later Henbury Old Boy’s was formed from the reserve side of Passage Road Old Boys and played on the Down’s until the 1966-67 season when the club returned to its roots to play at Arnall Drive playing fields. 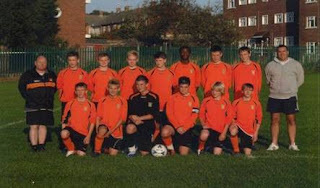 During this time we continued to develop football at youth level. The backbone of the club were the hard-working committee of Ron Excell, Rocky Jones, Jack Fisk ( who was our local Councillor for over 40 year’s and Lord Mayor twice), Cliff Griffin (who at 93 still makes the tea and look’s after the referees), Charlie Spicer, Ron Braithwaite and Barry Hopkins. The first team entered the Bristol and District league and progressed to the Premier Combination with the other team’s playing in the Church of England league. The committee selected each team until team managers took over this roll in the mid 70s. Early managers were Arnold Rogers, Billy Bond and Cyril Pritchard (who is now our President); they all made their mark with their own style of management and were all very successful. We currently run 3 senior sides and have a strong youth set-up which was formed by Bob Terry and Ron Excell in 1995 and are running 11 sides from under 16’s, which involves over 160 youths and children, and this season for the first time we are running a girl’s team. The youth team’s are very important to the communities of Henbury and Brentry. Just recently 2 members of Paul Elliott and Darren Sealy’s under 9’s have been invited to join Bristol City academy which is not only an indication of the hard work but also the dedication that goes into running these teams. We believe Henbury Football club is a valuable asset to Henbury and Brentry as it is a place where all cross sections of our community can come together, and it is essential that Henbury Football Club continues to serve the community giving children of the area the opportunity to focus on a positive disciplined sport such as football. We have no shortage of children that want to represent Henbury FC. We have dedicated football coaches and managers who give their valuable time on a voluntary basis, training children the skills of football. The enthusiasm from the children is a credit to each and every child that turns up in all winds and weathers to play football. Sport steers children away from crime, drugs and anti-social behaviour whilst giving them a sense of purpose and worth. Jean Sallabank, Rose Clarke and Gail Wright have been voted onto the committee in a fund raising capacity, and would welcome any advice on fundraising. If anyone is interested in joining the club either as a player or social member, or would like to sponsor a set of shirts for any of the teams please contact the secretary, Bob Terry on 07973235455 / Jean Sallabank on 0117 3307172. Henbury Football Club would like to thank Henbury and Brentry Community Council for the very generous donation of £1000. At Christmas, criminals can often take the opportunity of our houses being full of presents to increase their criminal activity. By following a few simple rules you can reduce your risk of becoming a victim of these opportunist criminals. · When out shopping in crowed areas beware of pickpockets. Make sure your purse or wallet is secure. Don’t carry too much cash on you. You can always get more out. · Be careful when using cash machines. Be aware of who is around, don’t count your cash in view of other people and put the money in a safe place. · If travelling by car make sure you park in a well lit area, lock all doors and windows and don’t leave valuables on display. · Do not carry too many presents at once, buy what you can sensibly carry. If your hands are full you are more vulnerable. If returning to your car, make sure you put the items in the boot. · When returning to your car, have your keys in your hand ready so you are able to get into the car quickly. · Do not leave presents and valuables out on display. Put your presents out as late as possible on Christmas Eve. · Make sure your house is secure when you go out and when you go to bed. · Make notes of the serial numbers of bikes and electrical goods such as computers. · Double check your household insurance covers the extra goods in the property. · Remember on Christmas Day, after all the presents have been opened, empty boxes left outside advertise that you have new goods inside. Dispose of your packaging carefully. Dates for 2010 will be made available in the New Year and a full list will be included in the next newsletter. The travel group has now taken over 100 local people away on holiday, visiting seven nations with places as diverse as Krakow, Shanghai and Jerusalem. A few friendships have formed and single travellers have found it a great way to get away with good company.There are a few places left on the Rome trip (Dec 15-19), but why not join us next summer (June 1-8). We've booked a Riad in Marakkech and a Kasbah in the Atlas mountains where it is possible to go trekking if you wish. “I have been reaping the rewards and enjoying the many health benefits of my allotment for the past decade and thought it might be good to share my enthusiasm with our Henbury community. Gardening- the Green Gymn - is identified as one of the Health Education Councils recommended form of exercise for the over 50’s age group. But why wait? My children when they were younger spent many a happy hour playing hide and seek, helping pick the fruit and veg and ‘watering’ all the plants with the benefit of increasingly large water pistols while chasing around the outside paths of the plots - A great game when little. When older they earned pocket money barrowing tons of manure up the slope and watched the soil gradually transform from clay to a workable loam. At the other end of the age scale I should like to quote Mr Powell one of Willow Tree Surgeries 88 year old patients. He had an allotment at the age of 12 years old and still has the first spade he used. He feels he is having a wonderful life and still enjoys very good health. His job as a librarian was sedentary and he feels that working outside growing fruit and veg provided a good balance to this. He felt it was a place he could lose himself and was good therapy. He still keeps his garden up and is currently harvesting runner beans in abundance ( a pound a pound in shops right now) helping eke out his pension. He is a wonderful example for all of us. There is nothing quite as rewarding as watching seeds grow and transform without chemicals or poisons into something that not only tastes absolutely delicious but is also packed full of good nutrition. Not to mention cheap!! Soft fruit is extremely forgiving of neglect – rewarding us year after year with strawberries, raspberries redcurrants, black currants, gooseberries and tayberries – all packed full of antioxidants and vitamins to help keep our bodies in tip top condition. I am fortunate enough to have a plot on a south facing slope – allowing me to grow Grapevines. Haven’t yet got round to turning them into a glass of red wine – but one day!! Another spin off from having an allotment was learning to cook simply, using fresh seasonal ingredients. Newly dug up new potatoes are a meal in themselves with some freshly picked salad and olive oil dressing. The Allotment is a place where people can indulge in two of life's passions - gardening and talking. Sharing expertise with fellow gardeners and communing with Nature. The physical and mental health benefits of gardening are now well documented. For me the allotment is a place to escape from life’s pressures. My mobile phone has no reception there – a real blessing. Sometimes I just sit and watch the wildlife around me – easy meditation and relaxation combined. Better still is the joy of doing some hard physical exercise weeding, digging, pruning and planting and then harvesting and cooking the produce.” Dr Liz Larkin, Willow Tree Surgery. There are two allotment areas in Henbury. The first is at Monsdale Drive. The site rep there is Pauline and she is happy to be contacted on 0117 9238510. There is a small waiting list at present but sometimes half plots are allocated within a matter of weeks if you are lucky. Average waiting times are about 6 months to 2 years – so get in early if keen!! The second area is tucked away at Gifford Road and the site rep is Ian who can be contacted on 0117 9504436. We meet at the flats/Bus Stop, usually at 9.30 am.We generally alternate local walks i.e. Henbury, Brentry, Westbury or the Downs with longer tripsbus transport is used.There are a selection of useful buses from the Mall Bus Station at Cribbs Causeway or sometimes the main Bus Station. A programme is produced each quarter with details of walks. Distances are between 2 and 6 miles and any gradients are noted. There is usually a refreshment break included. There is no membership fee but a health questionnaire must be completed. Contact Roger Grinham 0117 9853972. Thank you to all who supported the Show on 25th July and helped to make it such a success. There was a wonderful display in the Village Hall and with teas in the garden and morris dancers, it was a most enjoyable afternoon. Congratulations to all winners, well done all participants and a special mention for Henbury Court School who won the Schools Cup. We hope to see you all again next year for the 22nd Show. Any queries / comments to 0117 9507712. The annual Community Fun Day at Barnard Park, Crow Lane, was once again blessed with good weather – except for five minutes of ‘liquid sunshine’ mid afternoon - which didn’t detract from the enjoyment of the event in any way. Local traders generously donated raffle and tombola prizes and fruit and vegetables were donated by the members of Monsdale allotments. 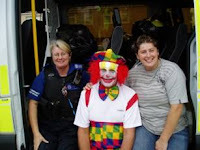 Young people of Henbury, under the supervision of PC Nick Merrick, provided mouth-watering food and PCSO Mike Bettel made an excellent clown, giving out balloon sculptures crafted on site by PCSO Abby Elliot-Taylor. We raised a pleasing amount of funds on the day, which will be spent on elderly residents of Henbury and Brentry. The organizers would like to thank all who helped in any way on the day and in the months leading up to it but thanks most of all to everyone who came along and supported us by enjoying the afternoon. If you didn’t come there would be no Fun Day!! The idea of the event is always to provide something for all the residents of Henbury and Brentry to come to and enjoy and prove that we are a united community and that this is a good place to live. We have had lots of feedback to both our stall at the Fun Day and our last issue and your comments on the issues raised and ideas for the newsletter are always welcome. ‘Thank you again for the newsletter. However several people are extremely unhappy about the amount of space given to the parks and open space plan. As a stakeholder this is not all true. I am not toowith Sarah Fosters piece however I am not sure it should have had front page I have spoken to her today and told her how i felt and did remind her that she is a private consultant and as such should make a donation to the news letter whilst I appreciate it is in the best interest of all residents to be properly consulted its her job to do this. Mrs Potter, Thank you for your response to the articles regarding the parks and green spaces plan. We are, whether we like it or not, going to see some of our green spaces sold off and housing put in its place, it is going to affect every one of us. The consultation process is our only opportunity to stop the potential ‘concrete jungle’ and so encouraging people to engage with the debate is paramount. It is therefore such an important issue, that we felt that it should take centre stage in the newsletter reaching as many people as possible. In future, we will have to start charging certain enterprises for their articles in the newsletter, but on this occasion, we felt the issue was the most important one and so happily printed it on the cover free of charge. ‘Perhaps you could run a petition to stop the incessant noise and danger we have to tolerate in Henbury by the illegal circling of joy rider planes over us? The noise is unacceptable the danger obvious. These planes are breaking the aviation laws by flying over densely populated areas at low altitude. It would be interesting to see how many local residents are aggrieved by this by this constant intrusion of our right to peace and quiet . Mr Martin, I’m afraid we can’t start a petition, as it assumes a political standpoint and we wish to remain neutral as a group, representative of all the interests of all the residents and businesses of our area. We passed your comment to Tim Parkinson of the Henbury & Brentry Community Council, who has been in touch with you directly. ‘I am a young person who lives in Henbury, my name is Declan Woodhouse-Arpino and I am 13yrs old. 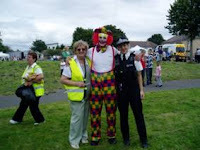 I as wondering who is organising the Henbury fun day at Barnard Park., so I can help out on that day?’ by email. Marianna put Declan in touch with Chris Pratt. An omission indeed! We will be seeking input from these students in future issues. Henbury and Brentry residents will soon be faced with a very important decision on the future of our green spaces. Current plans could see large scale housing development on many of our green areas. The money made from the sale of our community land will then go into a central Bristol wide pot and then some of that money would be spent on improving the remaining green land. Bristol City Council will be presenting its proposals to the community in the New Year—it was meant to have been sooner but apparently the costing hadn't been fully worked out. The last edition of the community newsletter set out the arguments for developing community land, yet this is only one side of the debate and in order to have a debate we need to see both sides. - The very act of selling off land to benefit the community would reduce the facilities available to us and not actually lead to the promised improvements. - The money generated by the sale of our land won't necessarily be spent in our community. - Encroaching on our green land sets a precedent for the next time the council is short of money. - We are at the bottom of a property slump so any land sold would not fetch a good price, meaning we have to sell more to raise the money the council wants. Whatever side of the argument you are on, the time for public consultation will soon be upon us and I don't think that anyone can remain neutral on such an important decision facing our community. They say all the shopping has stripped Christmas of its message about a Saviour. Or perhaps its just that the dream of a white Christmas is really more appealing than the idea of a God who loves us and wants to live in our hearts? I wish that everyone would consider the nativity scene for all its grace and truth, but if the baby is to be ‘thrown out’ of our society’s consciousness, lets take a look at the bathwater that’s going with it. Away, behind the manger in the corner of the living room stands a figure whose choices crash into this community two thousand years later. According to his culture, Joseph had every right to abandon his fiancée, Mary, yet his faithfulness ensured a safe and stable home for her and Jesus as the family grew. From what I hear and see, there are quite a few single parents struggling through life in this part of Bristol. Whilst each story is different, would it be too controversial to suggest that we suffer a shortage of Josephs in Henbury? Parents, Grandparents, Carers all, when faced with the nativity scene this Christmas, if you find it difficult to explain the significance of the baby in the manger, why not point out to your boys the figure called Joseph? It may seem a small act, but if a new generation of fathers grow wanting to be honourable like Joseph, we might begin to turn the tide of lost and unloved teenagers in our community. 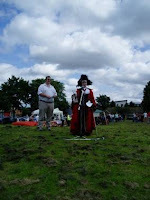 · Henbury and Brentry in Bloom-Jubilee event, 24th May ‘12, at Barnard Park. Time to be confirmed. 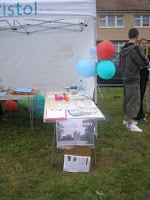 · Support Environment Agencies Residents Community Help (SEARCH) Group. Come along to our next meeting on 2nd Friday every month, at 10.00am (with walkabout) at Henbury Social Club, see details below. 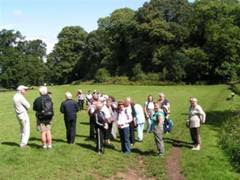 · Henbury Conservation Society, contact Chris Caroll on 0117 3308330 for dates on 2012. Open Garden, Saturdays 2nd June, 16th June, 7th July, 18 Woodgrove Road, Henbury, 2.00-5.00pm, Entrance £2.50 goes to National Garden Scheme. See page 9 for details. · Community Jubilee and Olympic event, Saturday 30th June, 1.00-5.00pm, All welcome all to celebrate. 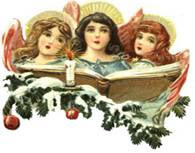 · Prayer Group meets 10.00-11.00am 1st Saturday every month, except April 7th, which is Easter, and we shall meet at Emmanuel, Satchfield Crescent that day as the library will be closed. Henbury Healthy Walking Group, meeting point Bus Stop (in front of the flats) at Crow Lane 9.30am every Thursday. Contact Roger Grinham 0117 9853972 or Roy on 0117 962 3768 for more details. Regular weekly entertainment at the Club: every Monday Line Dancing ,entry just £4, every Tuesday Dancing with Dave Daniels ,entry just £3, every Wednesday Bingo, every Sunday Weekly Roast Dinner, 12.00-4.00pm, just £5. 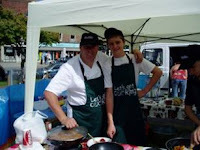 Westbury Local Produce Market, every 4th Saturday of each month, 9.00-1.00pm, At Health Centre car park off the main car park of Westbury Village. Stalls selling meat, cheese, cakes, bread, vegetables and products from Cornwall. · Country Market at Methodist Church Hall, on the Hill by the Car Park, in Westbury-on-Trym every Friday 10.30-11.30am. Free entry, coffee, tea is served, Craft stall, cards, knitting, sewing, jewellery paintings etc, Home cooked food stall, Garden produce and flowers. Preserves Jams and Marmalade. All ages are welcome. · Kid’s Music, Preschool toddlers, every Thursdays 10am (term time), “Quest”, Youth group for 8-12’s every Thursday 7.00pm, “Youth Café”, group for 12-17’s every Friday 6.00pm, Coffee Morning, all welcome, every Wednesday 10.00-12noon. 2nd Bristol Company Girls Brigade girls aged 5-15yrs. Games, badge work, crafts, stories, fun and friendships. BRENTRY SCOUT GROUP, Scout Hut, Tranmere Avenue, Hall is available for hire to hold meetings, children’s parties etc. Contact Maddy on 0117 9836819. On Mondays Beavers (6-8y) 6.00-7.00pm ( Julie Webber 9501768), Tuesdays Rainbows (5-7y) 5.30-6.30pm (Chris Janes 9500739) & Scouts (10-14y) 7.00-9.00pm (Tonny Milward 9501825), Wednesdays Explorers (14-18y) 8-9.30am (Luke Young). Thursdays Cubs (8-10y) 7.00-8.30pm (Sirene Young 9083274), and Fridays Guides (10-16y) 7.00-9.00pm (Sally Pugh 9501856). Easter Egg Hunt, Easter Sunday 8th April, 9.30am. JUNE Sunday 3rd, Monday 4th (Queen's Jubilee), Tuesday 5th (Queens Jubilee), Sunday 17th.